Sometimes I wonder what we ever did without the internet. How people used to queue for hours on a Saturday just to transfer a tenner to a mate. Jostling with throngs of people in Tesco on a Sunday, fighting over the last chicken for your roast dinner and ending up with frozen roasties after the tatties sell out. How Christmas shopping becomes a battle of the wits and survival, when it can all be done from the comfort of your own home with a glass of wine and a credit card. Ok, perhaps the internet isn’t the be all and end all but when you have burning question that needs answered at 10pm, who you gonna call? Google, that’s who. Case in point these cupcakes. I wanted to try the ubiquitous red velvet, so I searched for recipes online. I looked at tips for frosting on YouTube and decorating ideas on blogs. When my frosting collapsed into a cream cheese soup I knew exactly where to look for the answers to my sugary woes. 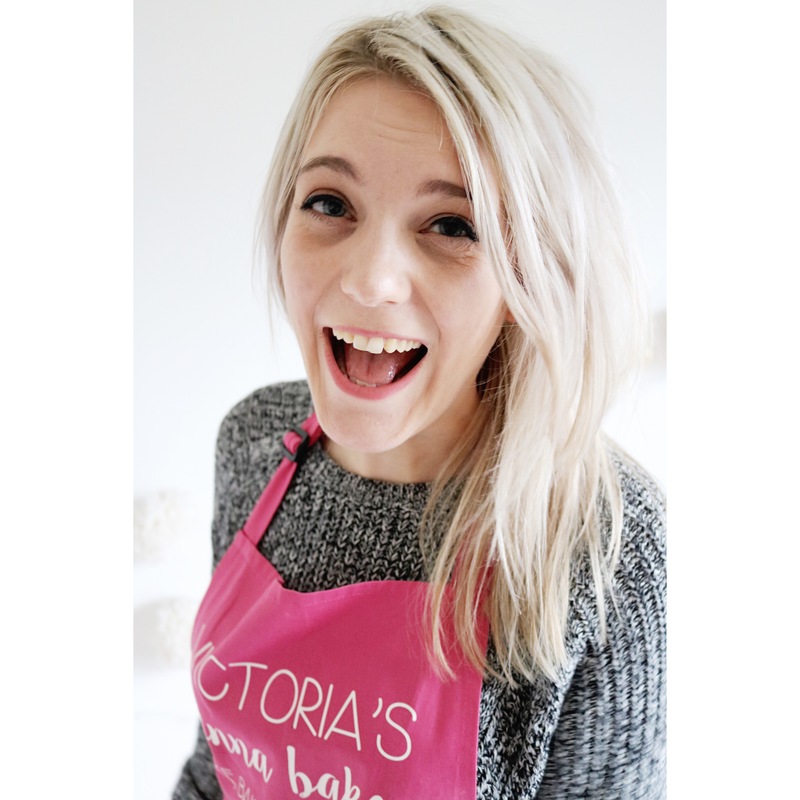 This post isn’t so much about the cake (it’s a delicious Lily Vanilli recipe from Sweet Tooth which you should buy immediately) but about the actual frosting. I’ve seen a lot of suggestions online on how to fix the issue, but what I really wanted to know was the reason it failed. After some reading coupled with my own frosting fails, I’ve come up with a few troubleshooting tips should you come across the same problem. A basic frosting recipe will incorporate three ingredients: powdered sugar, butter and cream cheese. Issues will crop up when the ratio of butter and cream cheese is higher than the sugar, which will bind the two and keep it fluffy. Too high, and you will risk the fats turning to liquid, too little and the taste will be overly sweet and the mixture heavy. Recipes with equal ingredients pose the biggest problem so keep an eye on your mixer as it can be overbeaten very easily. A fast arm or a good mixer is crucial to a good fluffy frosting but it can equally be its downfall. Cream cheese can be broken down quite quickly if beaten too fast and the result will be soupy and unworkable. Try folding into the butter and sugar to keep a light texture if using an equal ingredient recipe. If you are using the recipe below, combine on low to just mix in the cheese before upping the speed to incorporate some air to make it lighter. 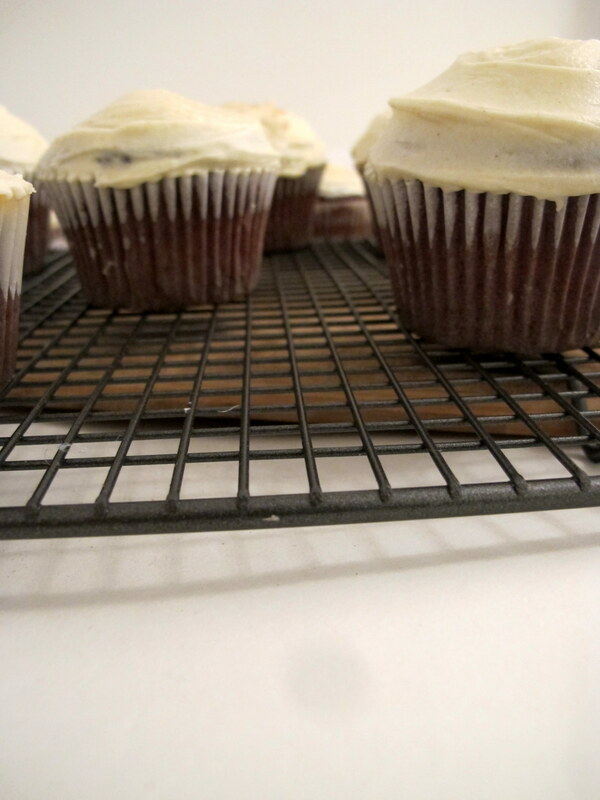 If your frosting has curdled, chances are you ingredients were at the wrong temperature and have seized up. Measure your cheese a few hours before making the frosting and leave to come up to room temperature. Butter can be a little colder and is best used around three hours after removed from the fridge. Don’t leave it out too long though – if meltingly soft, the water will separate too quickly from the fat and curdled cream cheese will ensue. 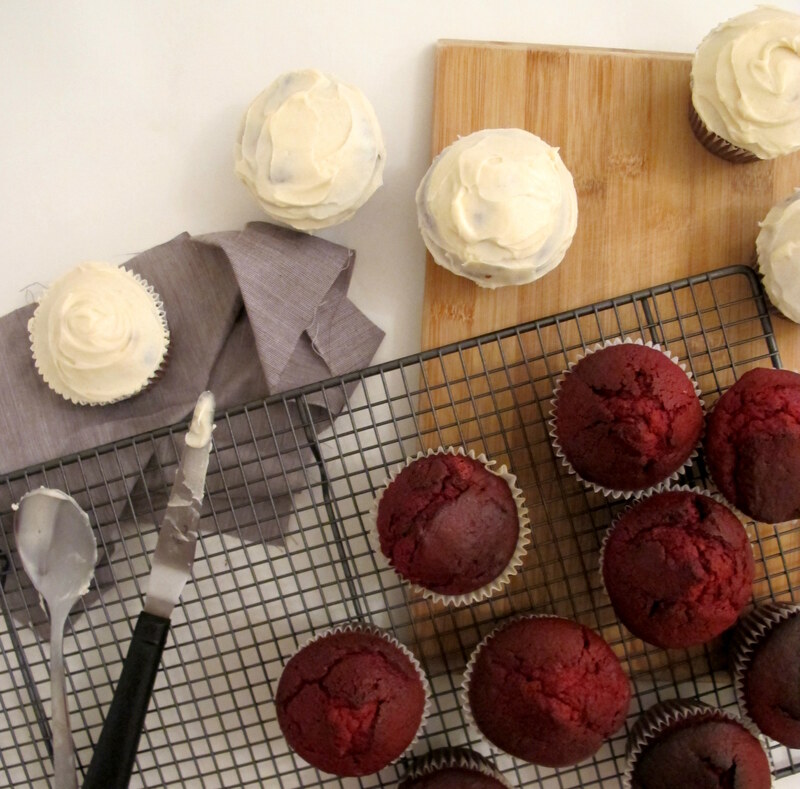 Do you have any other tips for perfect cream cheese frosting? Let me know! 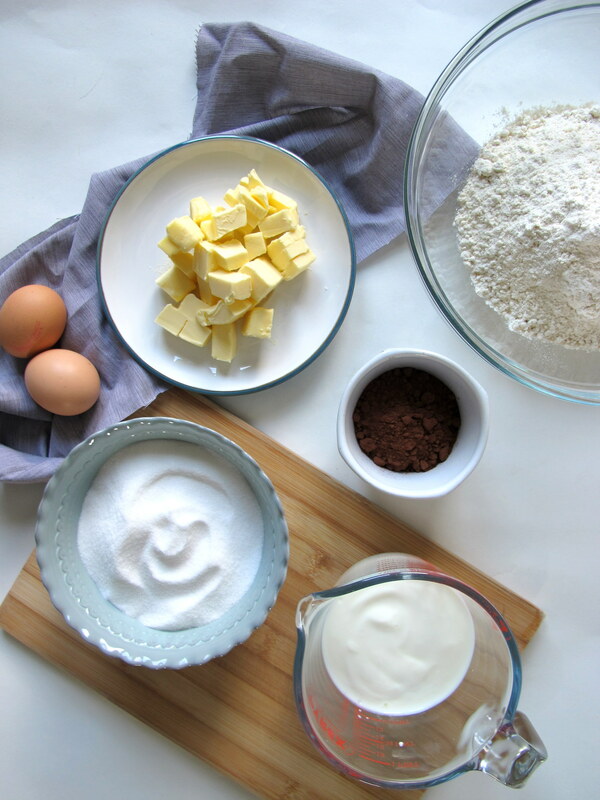 Add the icing sugar and butter to the bowl of a stand mixer (or large bowl if using a handheld mixer). Start the machine slowly to stop the sugar escaping and mix to incorporate the butter. The sugar should change to a yellow tone and feel a little sandy. Stir through the cinnamon then add the cream cheese. Beat on a medium low speed until combined. At this point the frosting will feel heavy. Turn the speed up and beat until the frosting becomes fluffy which will take around 5 minutes. Keep your eye on the frosting – if you over beat it will loosen up and become too runny to use. You can stop the mixer if you like to test the frosting, by scooping with a spoon and seeing if it will hold its shape. Personally, I prefer frosting swirled onto my cake rather than piped and actually find using the back of a spoon yields the best results and adds a nice rustic charm. 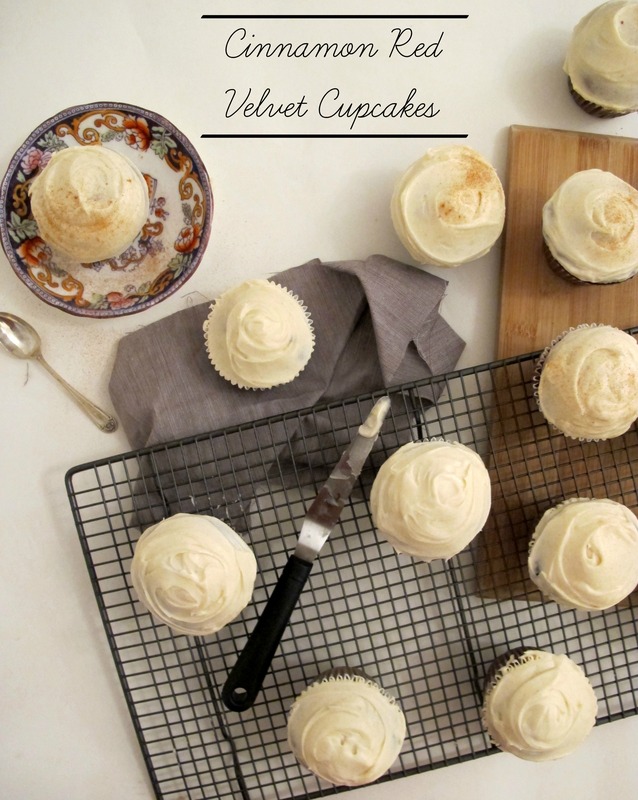 For this effect, scoop spoonfuls of the frosting and dollop on top of the cupcakes. Using the back of a spoon, coax the frosting to the paper case edges then using a firm pressure, swoop the spoon around the cupcake for a swirled effect. Sprinkle with extra cinnamon to finish. Good tips, thanks. I tend to underbeat mine, just in case! And I’ve found that it is always worth using full fat cream cheese. Full fat cream cheese is also a must – reduced fat seems more watery to me. Better under than over beaten I guess!